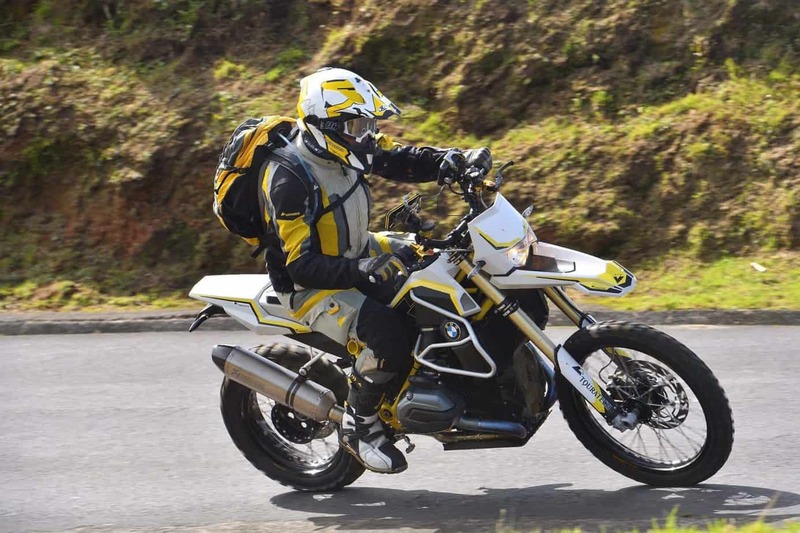 The project, code-named K199, was a challenge accepted by Touratech to build an enduro machine based on the current liquid-cooled R1200 power-plant for BMW Motorrad. The mission was to create a water-boxer dirt bike that weighed under 200KG (440lbs) ready to ride. 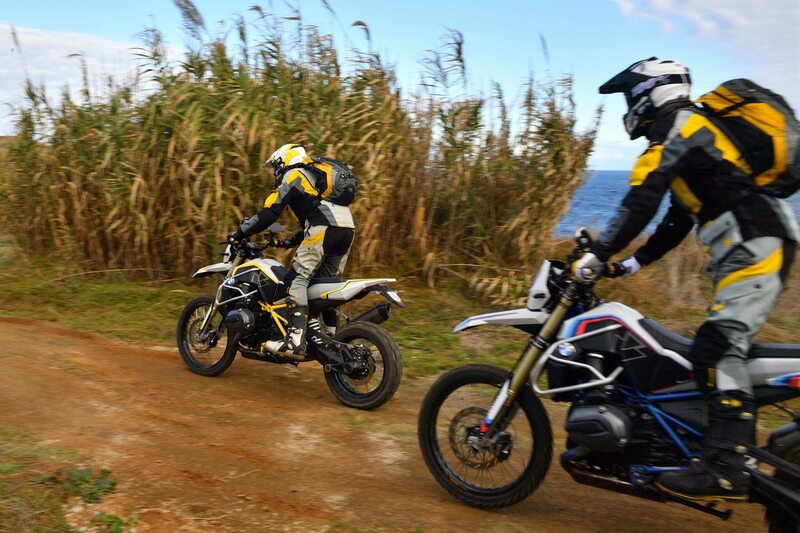 A modern-day interpretation of the legendary HP2 Enduro, the Touratech R1200GS Rambler is a race-ready powerhouse built for agility off-road. Weighing in at 199kg or (438 lbs), this might just be the lightest water-boxer in the world. 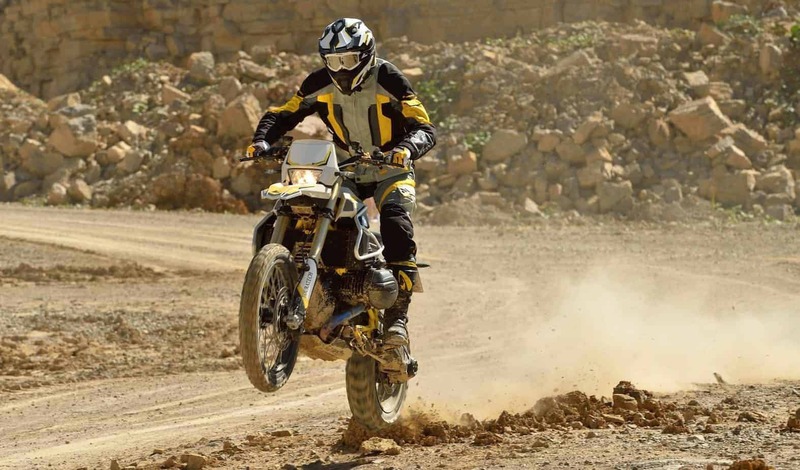 The engineers at Touratech started with the chassis and engine from a BMW R1200R because the frame is set up for conventional forks rather than the telelever front end of the R1200GS. 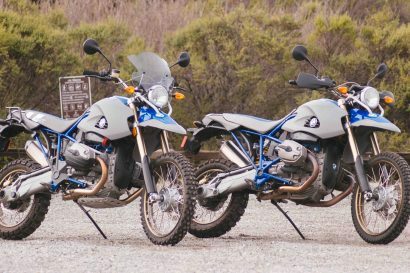 This was married to a final drive and swing-arm from an R1200GS to maximize the suspension travel and boost ground clearance. 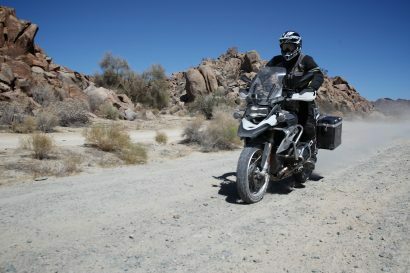 The chassis was fitted with a custom aluminium triple clamp that holds a set of re-worked forks from an F800GS Adventure. A long-travel fork cartridge conversion kit from Touratech Suspension was fitted into the F800GSA fork legs and set up for 230mm (11.8”) of travel. 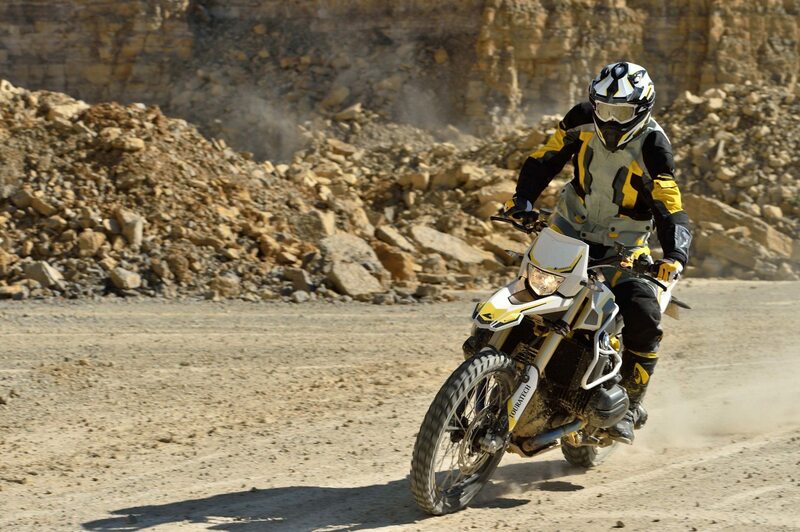 Performance for the rear comes by way of a long-travel Touratech Suspension Extreme shock with 200mm (7.9”) of travel. The Metzler Karoo 3 rubber meets the road with Haan Excel wheels 21” front and 17 rear. Several pounds were shed by going to a single rotor brake set-up like a dirt bike, but in this case with ABS. 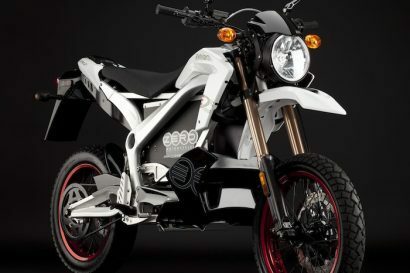 Considerable weight reductions came by stripping the bike of its bodywork, fairing and all unnecessary mounting brackets. A custom lightweight airbox and fairing were crafted of carbon-fiber reinforced plastic. The fuel tank and rear subframe were combined into a single aluminum structure that supports the rider and rear fender. An ultra-lightweight seat was crafted from Polyurethane using a method that requires no seat pan. Ultralight master cylinders & titanium footpegs were utilized for maximum weight savings. While technical components were manufactured by Touratech AG, the clay modeling, design and prototyping were carried out by sister company TT-3D in Murnau, Germany. 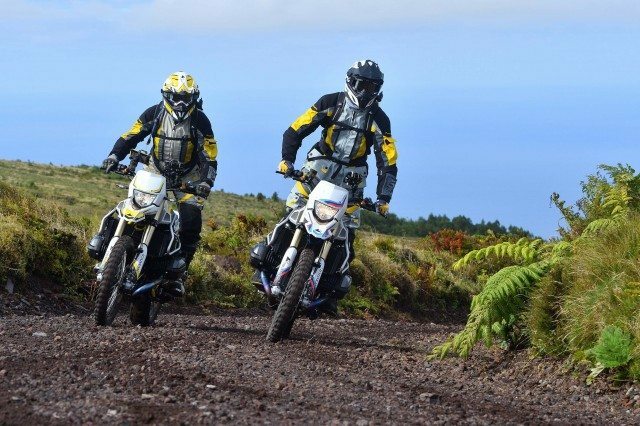 Touratech built a pair of bikes that differ only in color: one in the Touratech colors black, grey and yellow; and one in BMW colors white, blue and red. 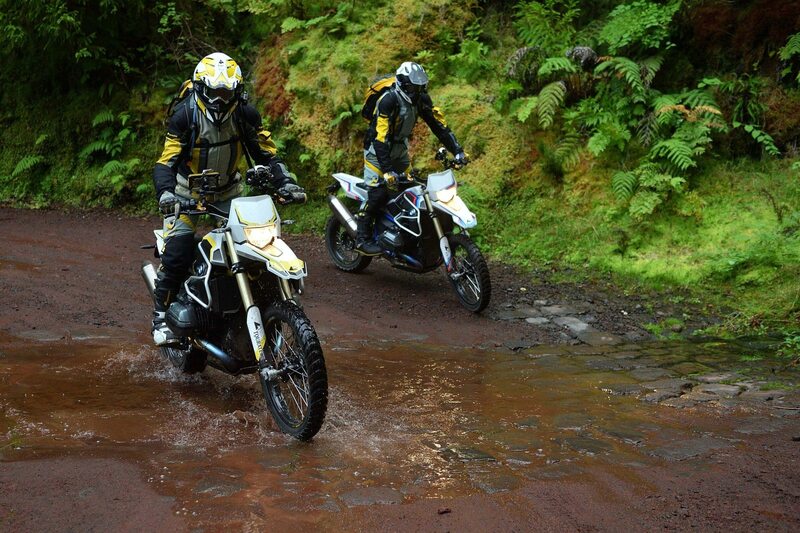 Touratech CEO Herbert Schwarz and a few journalists put the bikes to the test on an adventure ride in the Azores, a group of islands in the Atlantic Ocean 850 miles West of Portugal. There currently are no plans for a production version of this bike but it’s been fun for the Touratech team to rise to the challenge and create a modern day version of the HP2. 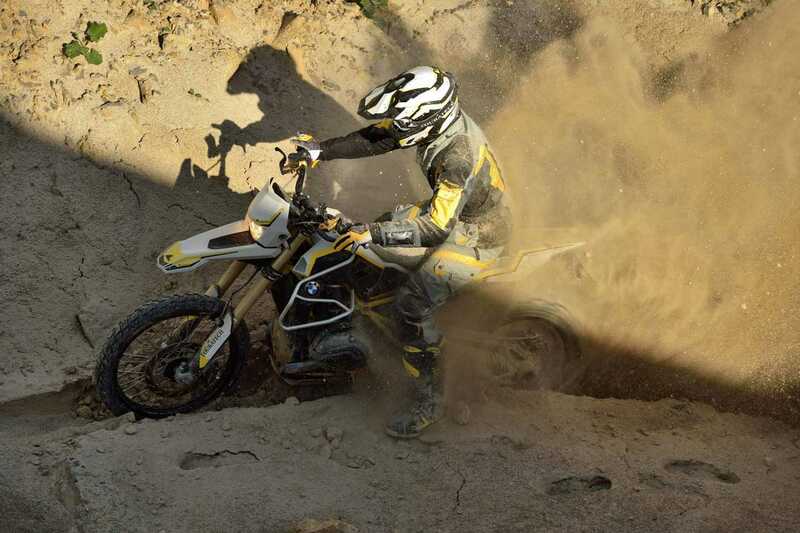 Perhaps BMW Motorrad will feel inspired enough to produce something like this again. front: 21 x 2.15 with 90/90 R21, rear: 17 x 4.24 with 150/70 R17. 2017: What Does the Coming Year Hold for Overlanding?